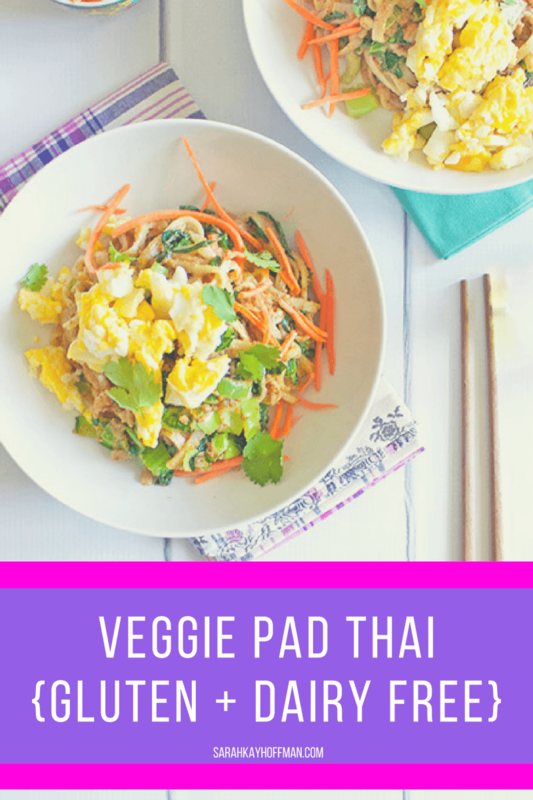 I cannot get enough of this Veggie Pad Thai. I want to share the recipe with y’all, but I have to tell you a little story along with it. 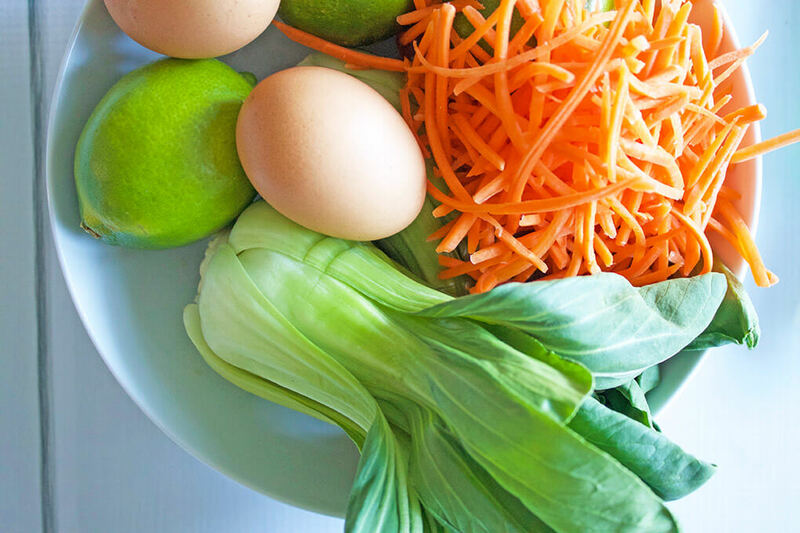 For several years I lived off of meat, fat, broth, and minimal fruit and veggies. And when I say I lived off those things, I really mean to say that 85% of my diet was meat, fat, and broth. I would never take those years back or wish for any foods different than the ones I consumed on a daily basis because it all contributed to massive gut and overall healing. But several months ago, I started having some aversions to meat. I’m still totally cool with fat and broth so don’t worry about me too much. It began with reheated meats. I struggled with the taste and texture. And then it became more of an everyday thing. The thought of loading up my plate with meat grossed me out. 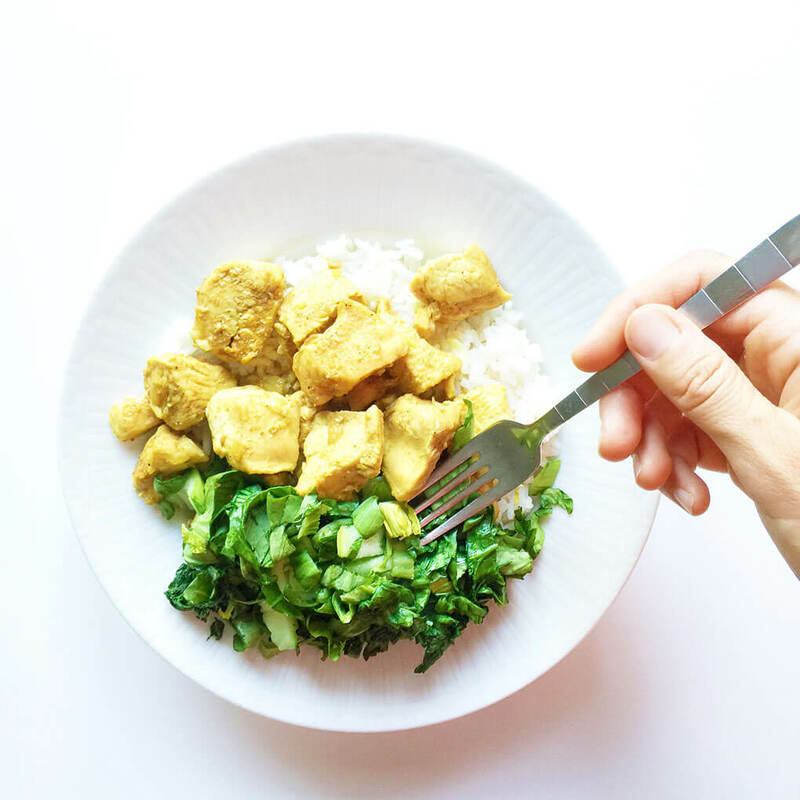 Just sometimes, not all the time, but enough of the time where I was forced to really start playing with all different kinds of foods – branching out in ways I haven’t in years. And here’s the thing, it’s not like I ever wanted to live off of meat, broth, and fat. Guys, I love food, but having undiagnosed SIBO for years made me so fearful of food. I go back and look at food journals and see how “normal” I was eating, but how sick I was every single day. A bowl of gluten-free oatmeal and apple for breakfast would leave me bloated, stinky, and miserable all day long, but a bowl of ground beef and broth left me feeling incredible. It’s hard to desire eating normally when the proof was in the pudding (er – meat and broth) with how I felt. And then it happened. I healed, at least healed to the point where I could eat almost anything again, but by this time I had forgotten what it felt like to eat without fear. Sure, I started to begin living life, but I would be lying if I didn’t tell you that fear was so often in my shadow. Until, of course, I began to have these meat aversions and I had no other choice but to get creative with food again, and just eat. That’s how I know how healed I truly am. I am eating far less meat and way more anything and everything, and I am thriving! Please don’t misunderstand this post. I am in no way, shape, or form Vegetarian or Vegan or even desiring to continue eating less meat. My body needs the meat. It also needs and wants the fat, and all the other things I have been so afraid of for years (like noodles, beans, every last vegetable and fruit on earth, etc.). I do believe that strict diets serve a purpose, but I do not believe that they serve that same purpose forever. If they did that means you are not healing, and the goal is to heal. And to live. Back to the veggies, to the food, to the real life and amazing eats…. This Veggie Pad Thai is incredible. It’s filled with all the things, and none the meat. You can add meat (maybe grilled chicken, ground turkey or beef) on the back end if you want. I was careful and selective with the ingredients that made up the sauce, which is the bread ‘n buttah of this dish (don’t even try to skimp on the Fish Sauce, Red Boat is where it’s at). 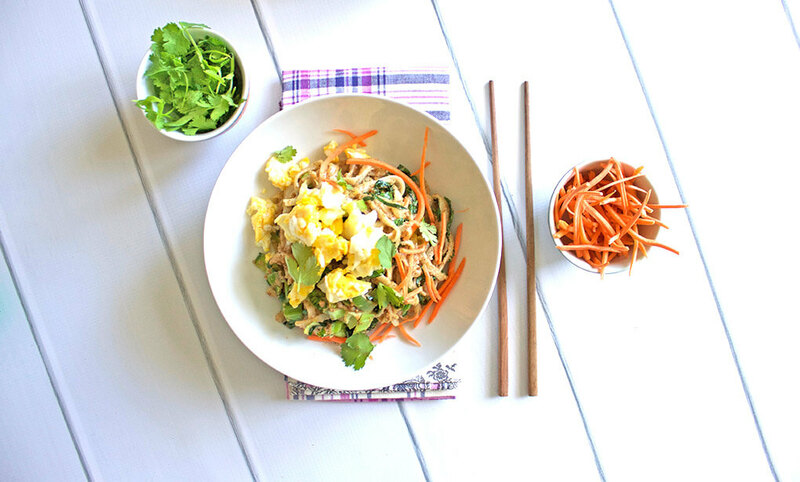 A gluten and dairy-free Veggie Pad Thai everyday recipe. Make noodles according to package. Drain, and set aside. 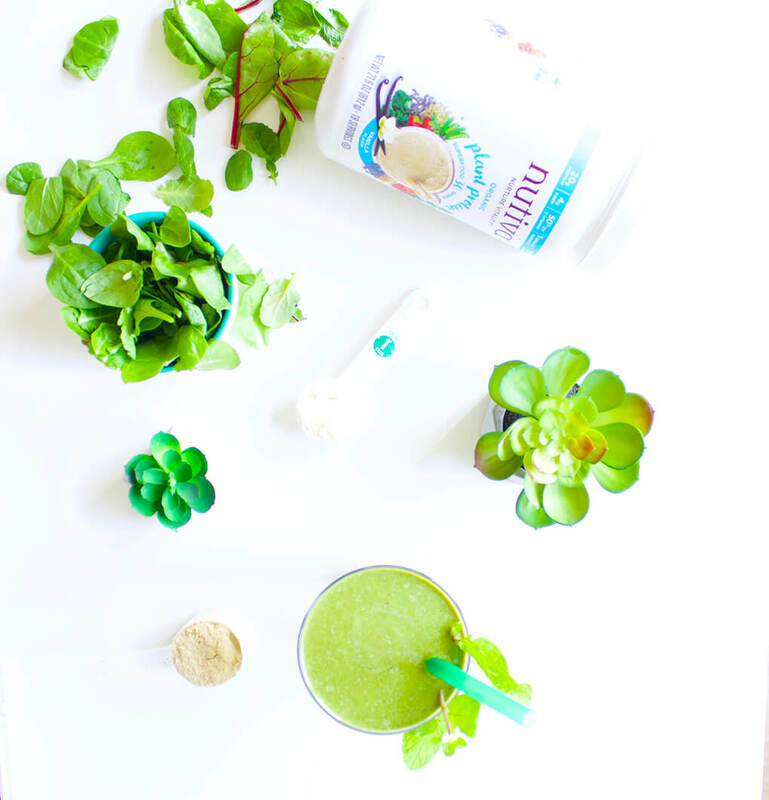 Place almond butter, fish sauce, garlic ginger, coconut aminos, and limes in a blender, and blend until smooth. Remove, and set sauce aside. In a large stir fry pan, saute 1 tablespoon coconut oil, carrots, and bok choy on medium for 5 minutes. Add the Pad Thai noodles and sauce to the pan, stir, and allow to simmer for 1-2 minutes. Transfer mixture to a serving bowl, and then add the other ½ tablespoon coconut oil and eggs to the stir fry pan. Scramble eggs for 1-2 minutes on medium, until they are cooked through. 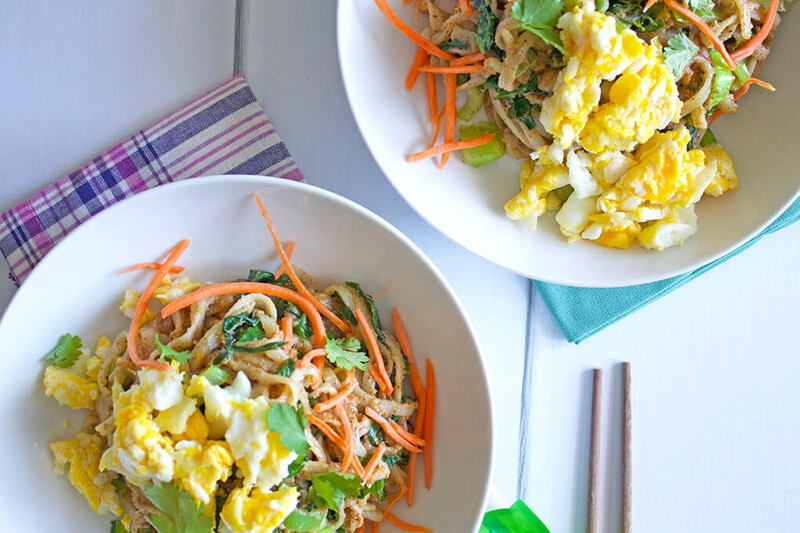 Remove eggs, and place on top of Pad Thai. 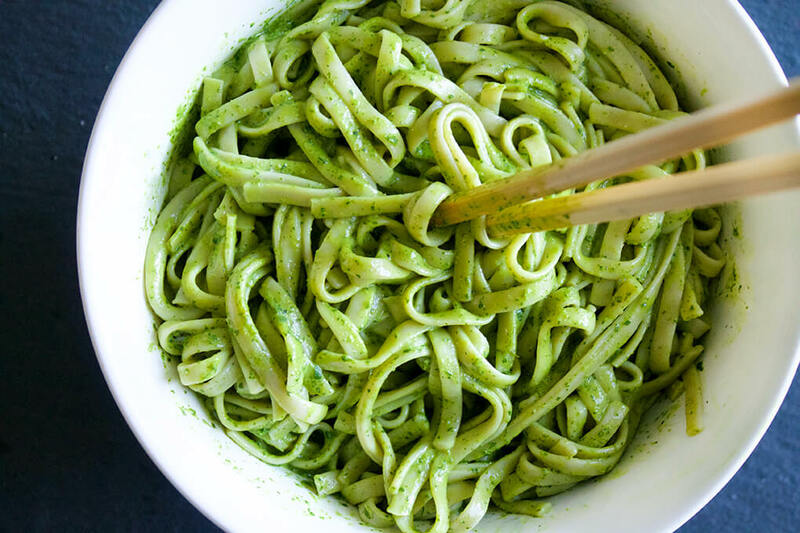 Serve with cilantro, and top with peanuts. The Red Boat Fish Sauce is more expensive than most fish sauce brands, but it's the highest quality one on the market. 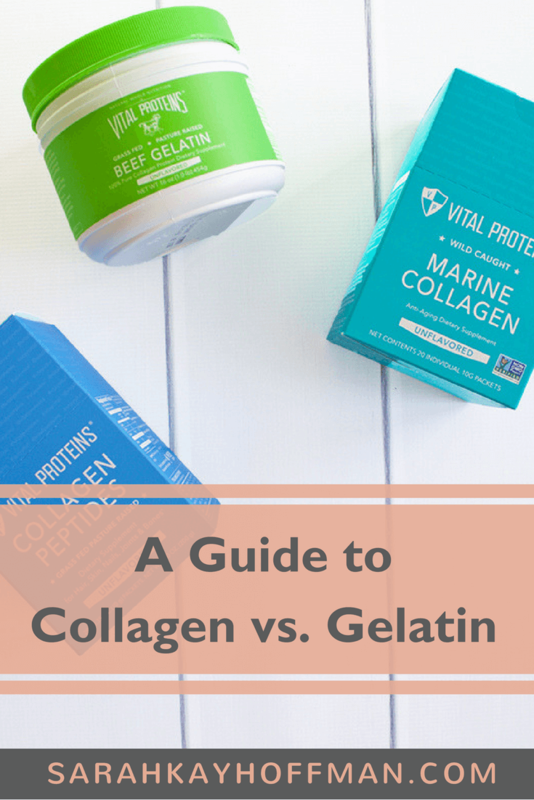 I decided to finally put together a guide to Collagen vs Gelatin (albeit short) because people are constantly asking me about the products as individuals and how they relate to each other. I don’t do a ton of recipes on my blog anymore, but it’s not because I don’t enjoy bringing a recipe from conception to life. Instead, it’s because I’m doing it 24/7 for my clients, and most of the recipes then live somewhere other than my blog. 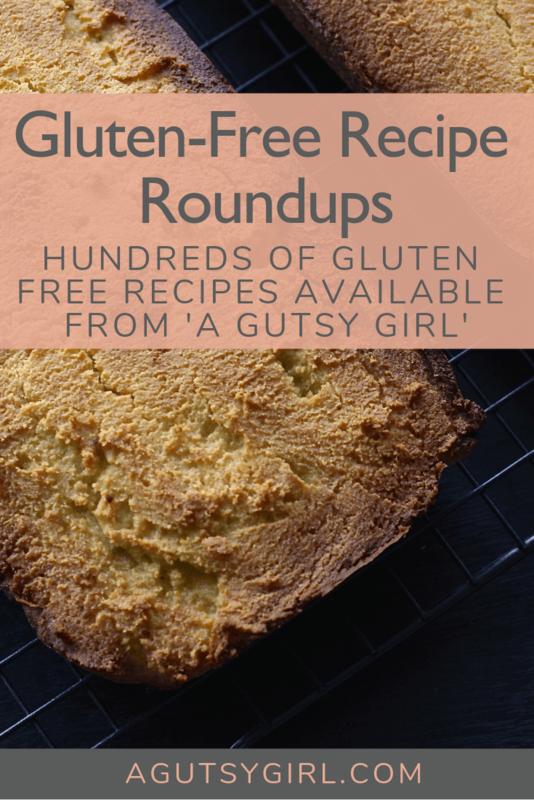 So from time-to-time, I thought it would be helpful for me to do a recipe roundup with where you can grab them all.